Are You Prepared for Possible Holiday Dangers? Call us 24/7! 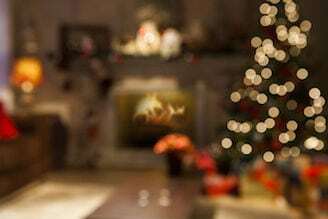 Are you preparing for these holiday dangers? Never had anything bad happen to you or your family over the holidays? Think there’s nothing to worry about? That’s where you’d be wrong. Every year, about 8,000 injuries occur from accidents related to holiday decorating activities. A number you can’t ignore. Christmas trees are involved in hundreds of fires which result in almost 40 deaths every year. So let’s hash out the details and nail down the steps you can take to avoid being one of the 8,000 this year. Pick a tree that is as fresh and green as possible. Needles on fresh trees will bend instead of break and not fall off easily. Cut an inch or two off the bottom of the trunk before putting it in a stand to allow water to soak into the tree. Avoid using metal fasteners (like nails or tacks) to secure outdoor lights. Instead, use plastic clips, hooks or insulated cable staples availabe at home centers and hardware stores. 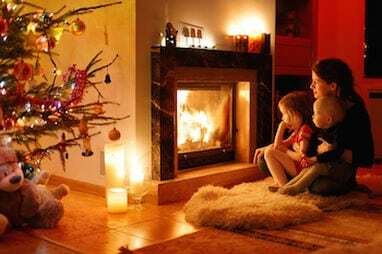 Stockings and other combustible decorations, such as pine garlands, can present a serious fire hazard when a fireplace is being used, so be sure to remove them before starting a fire in the fireplace. 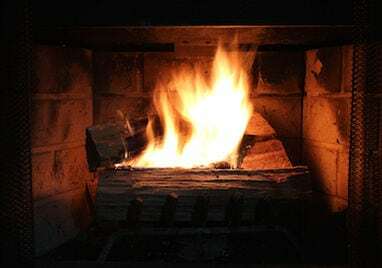 Resist the urge to burn wrapping paper or pine boughs in the fireplace as their floating embers can escape your chimney and could ignite your roof. Do not use lit candles on or near Christmas Tree lights. When using a stepladder, make sure all four legs are firmly on the ground and don’t stand on the top step or on top of the stepladder. Position an extension ladder at a 75° angle or a 1 to 4 ratio of horizontal distance to vertical height of the ladder (1′ out for every 4′ inheight). Use a non-conductive fiberglass or wooden ladder when working with electricity. Fires result in 3,000 fatalities and 16,000 injuries a year, and are more prevalent around the holidays. To increase your odds of preventing a fire and escaping safely, be sure your home has working smoke and carbon monoxide detectors on every floor, a fully charged fire extinguisher, and an escape ladder handy for two-story homes. Also, remember to have your fireplace and chimney inspected regularly and cleaned as needed. Basic, simple yet extremely important steps to take to stay safe this holiday season!